For FringeNYC Encore Series coverage, please click here. [$] [DISCOUNTED] 10:00 pm ($15 [vs. $25] online or at the box office using discount code BBOX): Telly Savalas returns to life to entertain you and provide life guidance in this 50-minute show that was a hit at FringeNYC 2011 and is now enjoying an open-ended Friday night run at the Soho Playhouse’s downstairs Huron Club. The script is at times very smart, especially in its choices of hilarious video clips and music tracks from the real Savalas…who, in his more intense moments, apparently rivaled William Shatner at his silliest. But even when Hunter Nelson’s writing isn’t consistent, actor Tom DiMenna—who is a professional comic with great timing and skill at engaging an audience—will keep you entertained: Who Loves You, Baby? [TOP PICK] [FREE] 6:00 pm: Glennis McCarthy is tonight’s guest at this weekly open-mic storytelling show, with each performer given a whopping eight minutes to captivate & impress, at UCB East hosted by John Flynn: Oh, Hey Guys! [TOP PICK] 8:00 pm ($5): The lovely and talented gals of HelloGiggles.com share tales about most embarrassing moments at UCB East, with storytellers including Abbi Jackson (Broad City) and Bethany Hall (producer of The Chris Gethard Show): HelloGiggles: The Oooops! 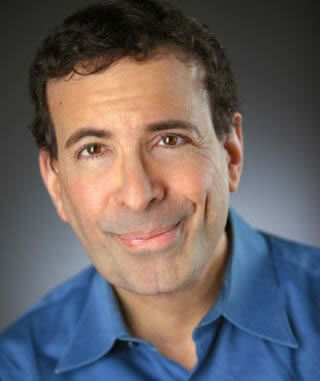 For FringeNYC 2012 shows rated & reviewed, please click here. [MEGA-TOP PICK] [$] 2:00 pm; but you should ideally arrive by 1:45 pm for the pre-show ($18): A spectacular dark fantasy comedy that’s my second favorite show at FringeNYC 2012 (out of the 55 I’ve caught so far): colorful, dream-like, overwhelming, and like nothing else you’re likely to see anywhere. It’s from an all-Japanese troupe (with easy-to-read English subtitles projected on the wall); and kudos to FringeNYC for bringing this amazing show to New York. Don’t miss your last chance to see it (before this production’s world tour moves on to Canada), today at 2:00 pm at the HERE Theatre Mainstage (145 Sixth Avenue; take the C/E subway to Spring Street): Hanafuda Denki: A Tale of Playing Cards—Are You a Winner or a Loser in This Life-and-Death Game? [MEGA-TOP PICK] [$] Noon ($18): A spectacular dark fantasy comedy that’s my second favorite show at FringeNYC 2012 (out of the 51 I’ve caught so far): colorful, dream-like, overwhelming, and like nothing else you’re likely to see anywhere. It’s from an all-Japanese troupe (with easy-to-read English subtitles projected on the wall); and kudos to FringeNYC for bringing this amazing show to New York. Don’t miss your two remaining chances to see it, today at noon and Sunday at 2:00 pm, at the HERE Theatre Mainstage (145 Sixth Avenue; take the C/E subway to Spring Street): Hanafuda Denki: A Tale of Playing Cards—Are You a Winner or a Loser in This Life-and-Death Game? [TOP PICK] [FREE] 7:00 pm: A gala celebration of a 10 Year Anniversary for The Creek in Queens’ Long Island City, featuring Colin Quinn, Sean Patton, James Adomian, Mark Normand, and more: The Creek and the Cave Turns 10! You are currently browsing the Best New York Comedy blog archives for August, 2012.